Americhem's booth saw a steady stream of traffic throughout NPE2015. 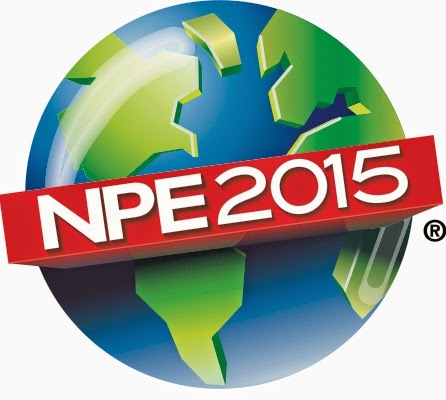 NPE2015 is now in the history books and what a show it was! Optimism abounded among the visitors, exhibitors and show owners, the Society of the Plastics Industry (SPI). According to Plastics News, 65,810 visitors attended the show, representing almost a 20% increase over the 2012 show in Orlando. That first NPE show in Orlando was considered highly successful, so exceeding the attendance by that kind of margin is noteworthy. So what made this NPE so great? Certainly the enthusiasm of the visitors was noticed at the Americhem Group booth. They came from over 23,000 unique buying companies and they came to spend money, as more than a half dozen major machinery manufacturers announced purchases on the show floor. A continuing trend was the global nature of the show, with more than a quarter of the attendance from visitors outside of the U.S. More than 5,000 visitors were from Latin America and our Latin American representatives were the busiest guys in the booth for much of the exhibition. material from Infinity LTL Engineered Compounds. NPE records were set in the number of exhibitors and amount of booth space sold. For a show that has been in existence for 69 years, these records are especially meaningful. We observed optimistic exhibitors at nearly every turn as our staff walked the show floor. 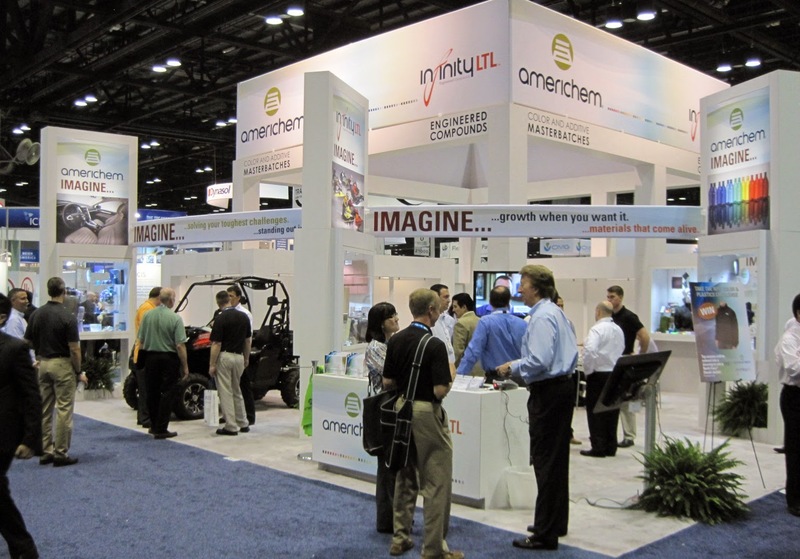 Traffic to the Americhem Group booth was especially heavy Monday through Wednesday and we even had significant conversations with buyers on Friday, the last day of the show, which is typically sparsely attended. The favorable economy certainly contributed to the upbeat nature of NPE2015. Attendees were especially interested in innovation. “What do you have that’s new?” was the typical question asked by visitors and Americhem Group delivered with new nDuramax™ UV products for films, new Color Rx® medical grade flame retardant compounds and new manufacturing capacity at both Americhem and Infinity LTL plants. Having Americhem and our new sister company, Infinity LTL Engineered Compounds, exhibit at the same booth was a first. Representing a broader product selection including both color and additive masterbatches and engineered compounds led to some interesting meetings and discussions. 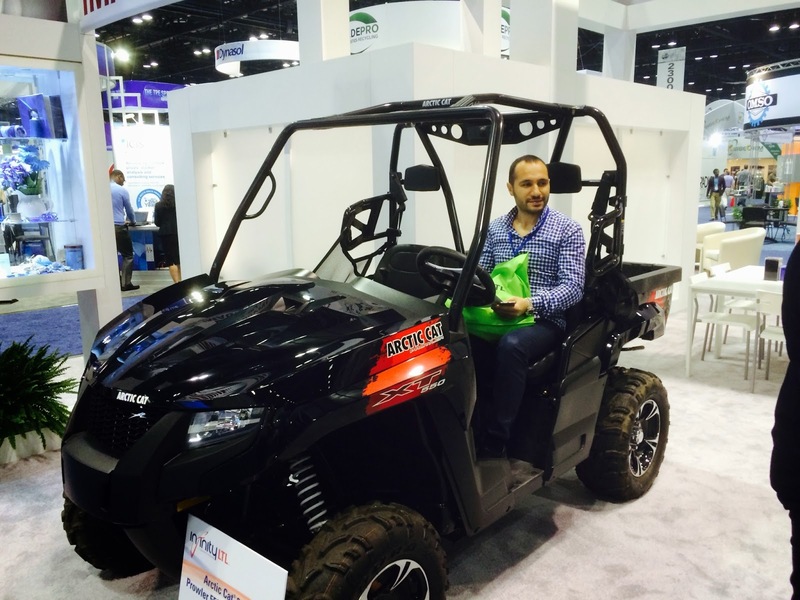 Visitors also got to check out an Arctic Cat® ATV featuring color compounds from Infinity LTL, a 3D printer demonstration, and participate in the NPE Color and Plastics Challenge, a contest testing participants’ knowledge of the industry. So Americhem Group left NPE2015 with a very optimistic view about the industry and our place in it. We’re excited that the 2018 and 2021 shows will stay in Orlando, as this venue has been a successful one for SPI and for our Americhem group. We’re following up on discussions with dozens of companies and we’re excited to try and help their businesses grow, mirroring the optimism of the industry.